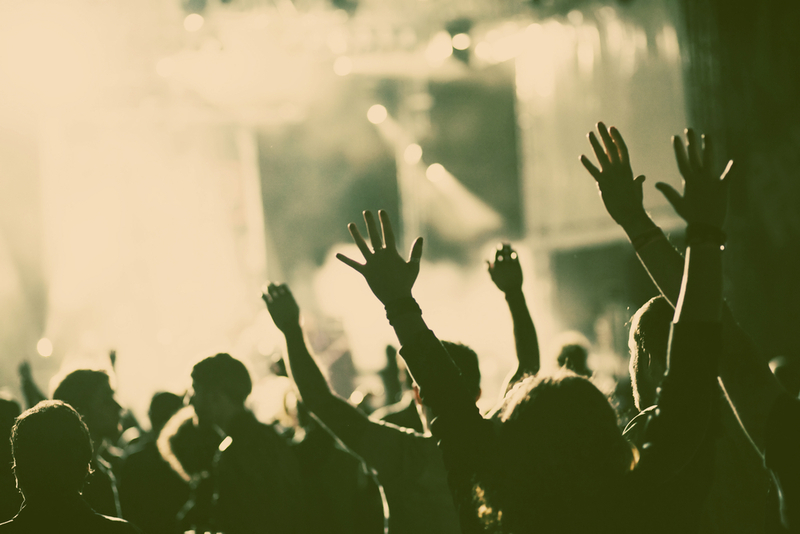 Isn’t it great when you buy tickets to a concert and you just know it’s going to be an awesome show? But even though you are sure of it being good, you’re still blown away by just how great it was? Well, that happened on Wednesday night with Weezer. 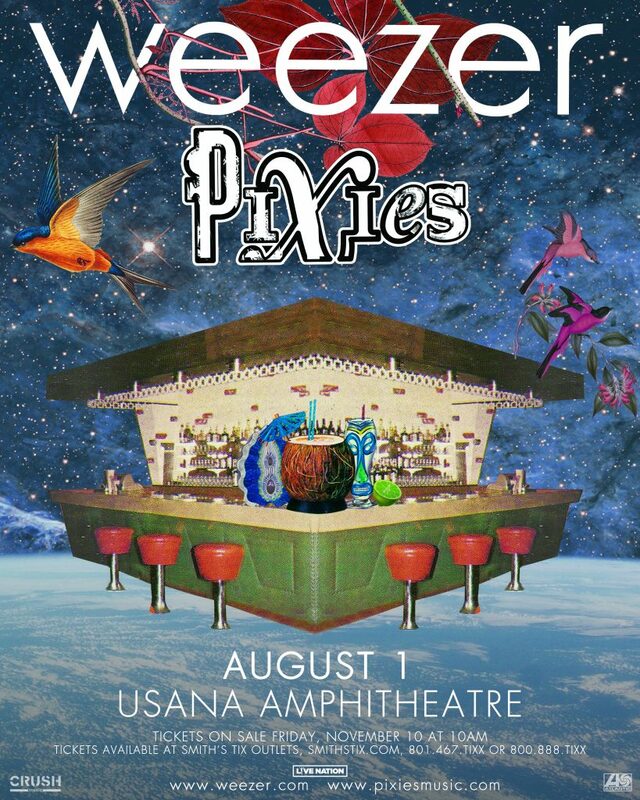 Their show with The Pixies out west at USANA Amphitheater was probably in my top five of favorite shows in 2018 so far. I’ve been listening to The Pixies since I was in high school. Which was a long time ago. Just a few years after the one room schoolhouse days. I had never had the opportunity to see The Pixies until tonight. I really enjoyed their set. They didn’t interact much with the audience, but they played for over 70 minutes. I heard several fans mentioning how happy they were that The Pixies played such a long set for an opening band. It is always fun for me to see teenagers and college age fans of a group that was big way before their time, or even before they were born really. There was a group of teens in front of me singing every word to every song of The Pixies. I loved it. While I enjoyed finally getting to see them, I hope I get the chance to see them perform as the headliners next time. It’s nice to see typically headlining bands in that slot. They were a perfect support band for Weezer though. I felt like their styles worked really well together. When The Pixies walked off stage, I felt like I was in the right headspace to see Weezer. Sometimes an opener will leave the stage and I’ll have to readjust my mind to prepare for the next band. Which was the case last time Weezer was here with Panic! At the Disco. They were too different to be touring together in my mind. Not this time. The Amphitheater lights went off, the crowd stood right up, and the intro to Happy Days began, which in turn introduces Weezer like it did in their iconic video “Buddy Holly”. Sure enough, as the stage lights went up, they went right into that very song. Wow, “Buddy Holly” as their opener?! What a way to start! USANA Amphitheater went nuts! They were instantly alive as if Weezer had been on for an hour. In their last stop in Utah, “Buddy Holly” was their closer. It was cool to see them flip it to the beginning. Besides, Weezer has so many great songs that they could afford to play such a big hit right off the bat. Weezer didn’t slow down from there. They sang about 8 hits in a row. Seriously, check out the setlist! I remember after each new song would start I would look over to the people I was with and we’d look at each other blown away at how much we loved each new song and how many great songs were played in a row. Midway through the set, frontman Rivers Cuomo walked out to the middle of the Amphitheater where what looked like a rowboat was waiting for him. He put on a captain’s hat, and a captain’s jacket and the boat began to move (On wheel’s of course. There’s not a moat in the middle of USANA Amphitheater guys.) through the crowd to the center of USANA Amphitheater. The boat stopped and Rivers pulled out an acoustic guitar and sang “Island in the Sun”. He followed that with an acoustic cover of the 80’s hit “Take On Me”, by A-ha. The boat moved to the other side of the venue and Rivers jumped off and returned to the stage. I thought it was a clever way to get closer to the fans in the back. The main set ended with Weezer’s current single, their cover of Toto’s “Africa”. I really enjoy their cover of this song. It stays true to the original while giving the song just a touch of the awesome Weezer sound. There’s a point in the song where there is an instrumental break, and in the original, I believe a pan flute is featured, (or something along those lines) but in Weezer’s version, they use a synthesizer with what I can only describe as a very “Weezer’y” sound. The crowd cheered their approval the moment they hear it. The night ended with a favorite of mine and well, pretty much everyone who likes the Blue album, “Say it Ain’t So”. They could have gone on for another half hour or so and no one would have complained. The audience was so into this show. Seeing Weezer in concert is so interesting to me because they don’t say much to the crowd, they’re not running around the stage too much. Besides Rivers Cuomo going on the boat, they pretty much just stand there and sing. I’ve written reviews in the past where I complain about a band not talking to the audience enough, or moving around enough, but with Weezer, it just doesn’t matter. Their songs and the way they are played live are enough for everyone in attendance. I can’t imagine the place being any more electric or engaged if they had been running around and talking to us all night. They have their way of performing, and they do it very well. Can’t wait to see them again!